BDO is one of the world’s leading accountancy and advisory organisations with almost 75,000 people working out of 1,500 offices in 162 countries. At BDO, exceptional client service underpins our belief system and all aspects of service delivery to our clients. We provide a flexible working environment that encourages open communication and collaboration. There are continuous opportunities to learn, build strong relationships with diverse client groups and expand networks nationally and globally at all stages of your career. 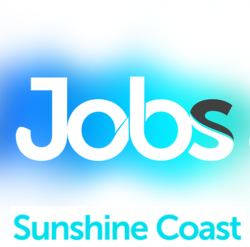 Our BDO Sunshine Coast office are currently sourcing a Graduate/Undergraduate Accountant to join their specialist Superannuation team on either a full time or part time basis. This is an excellent opportunity for a current University student or recent graduate to commence their career with a leading professional services firm, located on the Sunshine Coast. We offer the professional opportunities, personal fulfilment, and long-term growth that only a growing global firm like BDO can provide. We are committed to your ongoing development to build your technical, advisory, leadership, and management skills. We take pride in our health and wellbeing and workplace giving programs, as well as the range of social activities organised by each office. At BDO, we want you to enjoy what you do and the community of colleagues and clients you work with. In addition to an industry competitive salary package, BDO offers a culture that emphasises career growth, professional development, collaborative culture, workplace flexibility and global opportunities. At BDO, we value the difference and unique perspective of every individual. As a firm, we are committed to a diverse, flexible and inclusive culture, where everyone can be themselves at work in an environment that brings out the best in them and their colleagues. To submit your application please click Apply Now or for further information please contact us on 3237 5999. Recruitment Agencies – thank you for thinking of us, however we do endeavour to fill our opportunities through direct channels wherever possible. If we find that we do need agency assistance, we’ll be in touch. Job Categories: Accounting. Job Types: Full-Time. Occupation: Clerical & Administration.